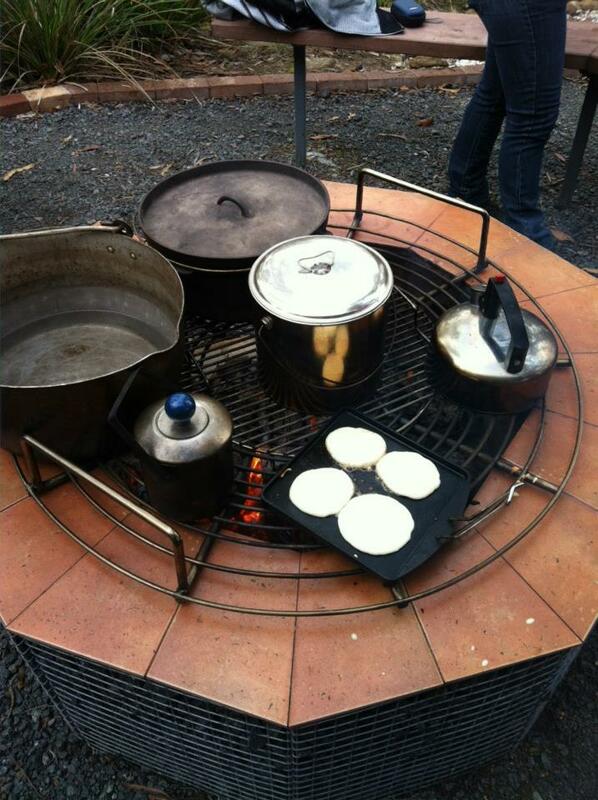 Clay Pot Cooking: Slow Food – Bruny style. Slow Food is a large international organisation committed to biodiversity and saving food cultures by encouraging the type of agriculture that is respectful of the environment and human beings – it’s about place and taste. Slow Food is against intensive, chemical farming and shabby eating habits that reduce food to consumption. Slow Food is all about identifying, protecting and promoting food products and methods of production that are linked to a geographic area or have long traditions. The Slow Food movement began in Italy in 1986 and became international in Paris in 1989. The organisation is made up of hundreds of small groups called convivia around the world – based on the word and notion of conviviality. Hobart has had a convivium since 1998 with Jenny Dudgeon as its current leader. 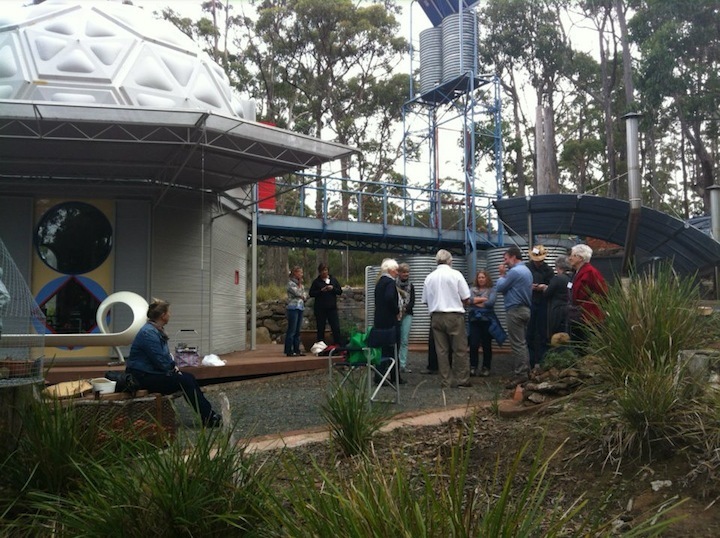 Slow Food Hobart has been responsible for numerous innovative and interesting projects – from visits to food producers and school project sponsorship – the slow trail has also led to Bruny Island. Bruny is all about slow! The fact that one needs to catch a ferry to get to the island in the first place means that one is automatically on Bruny time – slow time. The ferry car handlers know about patience, and how people can lose it when the queues get too long – but one learns in time to chill out and wait ones turn. 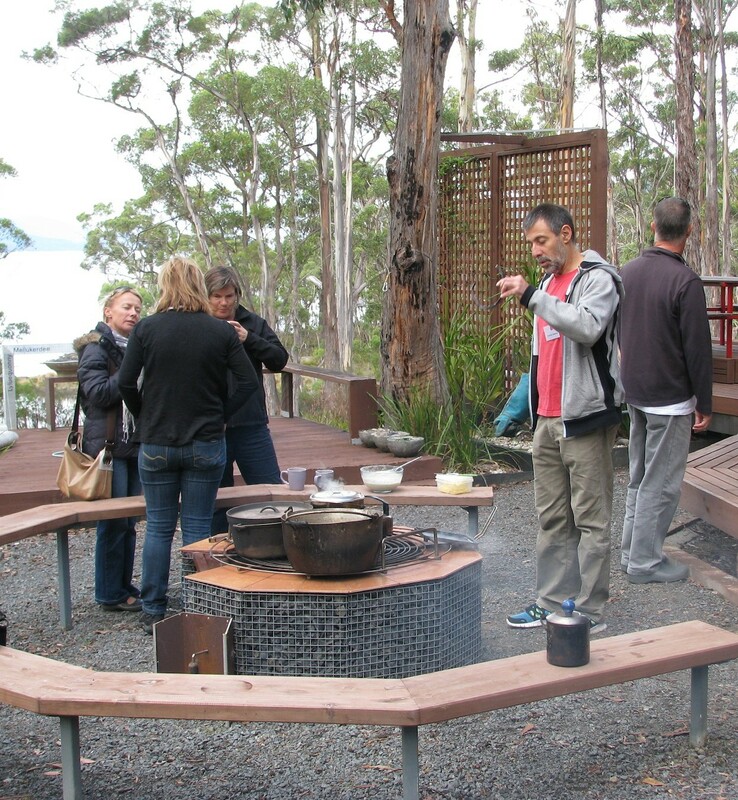 So no surprise that Slow Foodies were keen to visit Brunyfire and Co – which is all about slowing down (while working hard) – outdoor cooking and cooking with foraged foods, fire and clay pots. 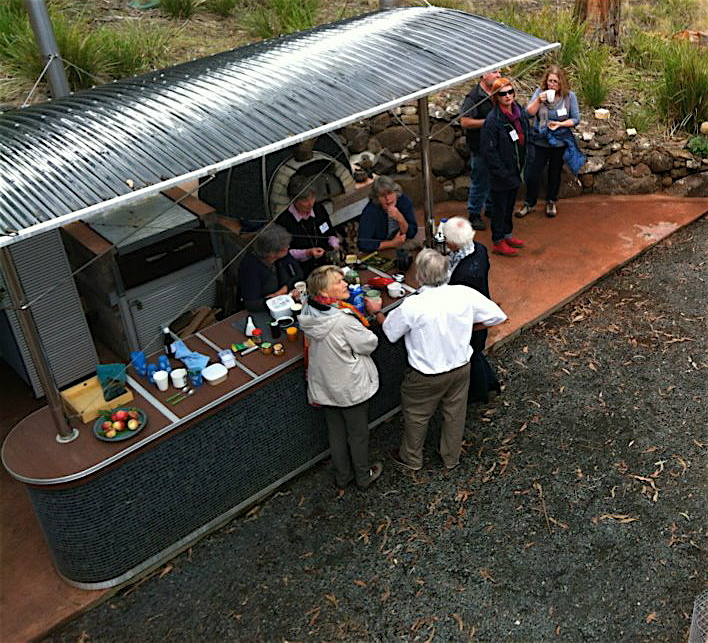 The Hobart Slow Foodies paid a visit one March Sunday (2013) for morning tea – the outdoor kitchen was prepared for 25 visitors………. ………but in the final count, there were actually 35. This didn’t faze us too much, the company was appreciative and friendly and Brunyfire and Co certainly had a good time showing the place off. But the more serious intent was to extend the hand of hospitality – to provide refreshments and exchange ideas and information. Earlier that morning, I’d cooked up a batch of gem scones – a Margaret Fulton recipe kindly passed onto me by Margaret Vandenberg (resident Islander and graphic artist) – in my recently acquired pans…….. ……the Sally Ally (Salvation Army) version abover are aluminium…….. …….and the cast iron version (above) came from the Tip Shop Collectable shop in Hobart. A note of caution: don’t expect to get bargains here – because of their town location and thus high shop rent, the cost of their products is relatively high for a tip shop – you need to be really keen to want a piece from here, as I was. Margaret Fulton’s Aussie Gem Scones. These wonderful little heat banks, an iconic part of Australia’s Country Women’s Association’s culinary history scene, are the ideal units for using in a wood-fired oven, or in a cast iron Dutch oven on open coals. These (I’m ashamed to admit) were cooked in a bog standard electric oven, and I’m sure didn’t taste quite as good as they could, had they been done with a touch of smoke! The gem scone pans were pre-heated first – nice and hot (about 200 degrees c). Next, the butter and sugar were creamed together, and then the egg, salt and milk all added. 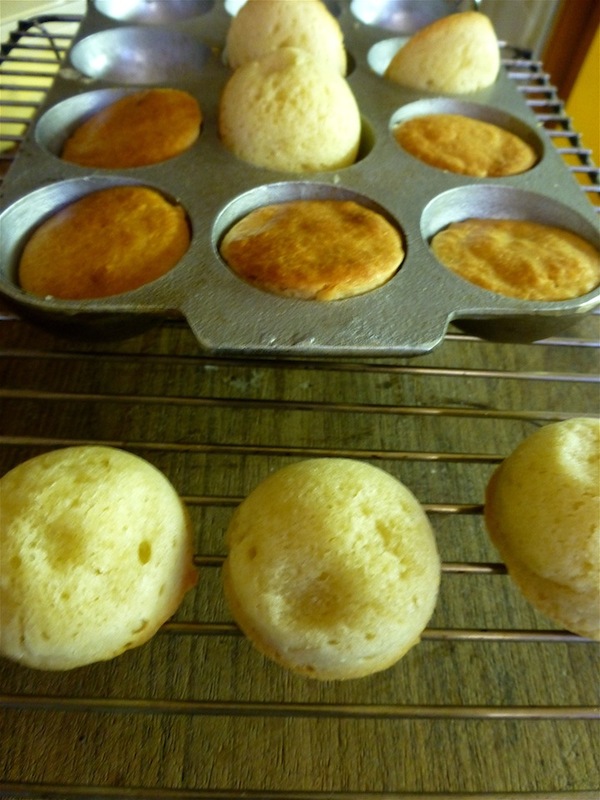 These were combined together and the sifted flour then added until the mixture was lightly blended together. 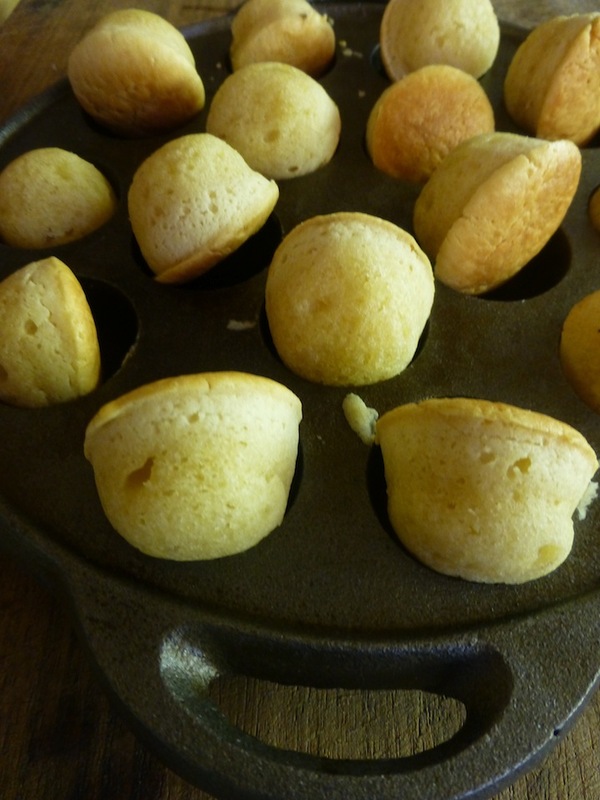 Take out the hot irons and grease well with a little butter, and spoon enough mixture into each – about 3/4 full to allow for the scones to expand. Bake for about 15 minutes until golden and spongy and serve, in this instance, with a medley of foraged jams and different Bruny honeys. 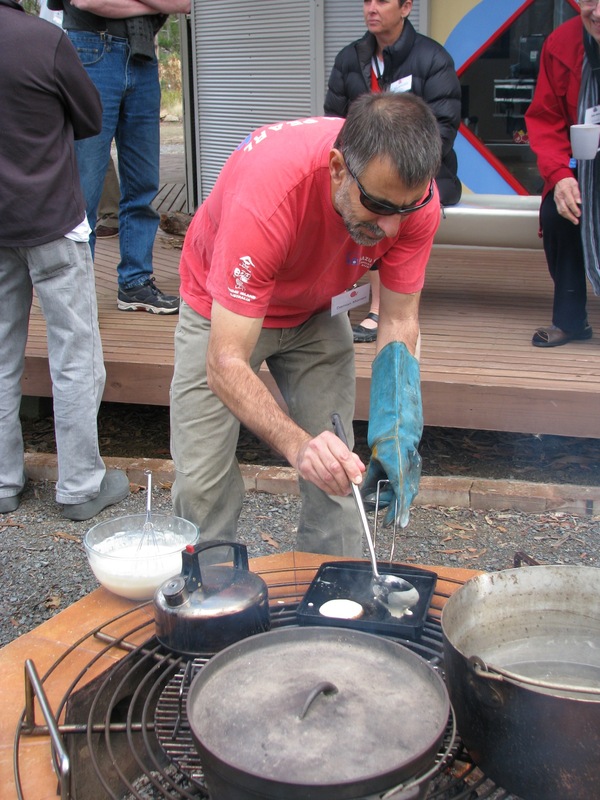 In addition to the Aussie gem scones, Brunyfire had prepared a wild apple pikelet batter mixture for the Slow Foodies to make their own on the open fire. 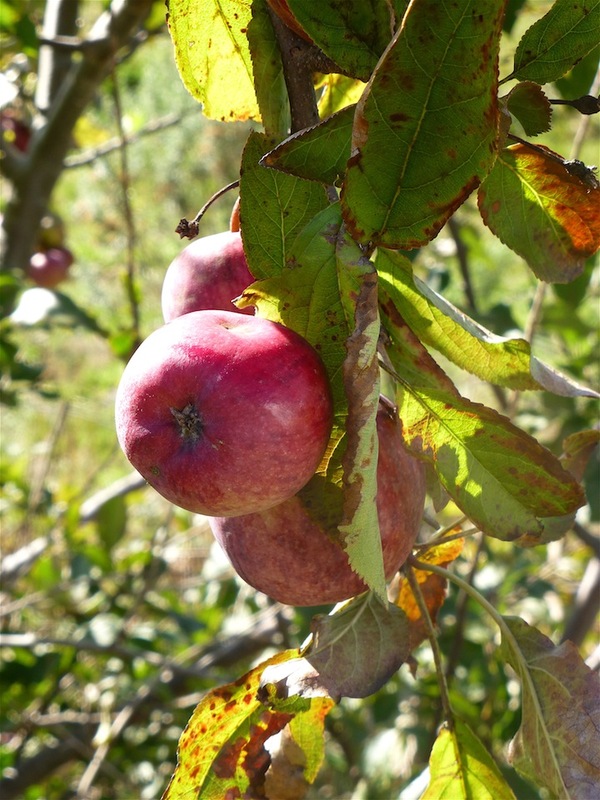 On the way to Kettering the roadside kerbs are littered with wild apples of different varieties, so Brunyfire stopped and grabbed a few…….. ……….and despite their rustic look, and the odd worm or two, these were deliciously crispy and sweet. 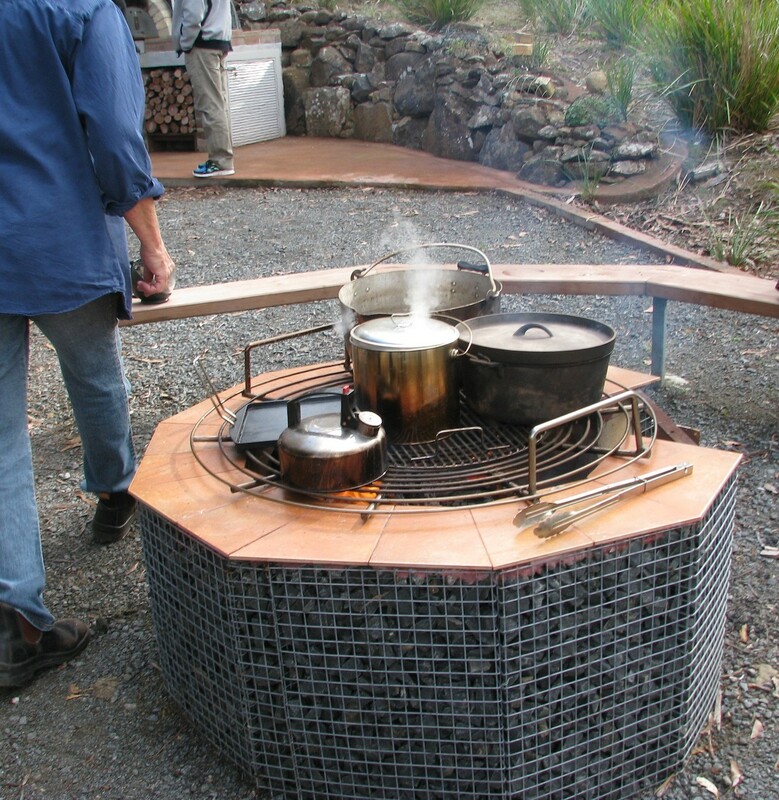 Meanwhile, once at the shack, the firepit was lit, and copious amounts of water put onto boil in readiness for making tea and coffee….. ……..and willing candidates were roped in to help with the cooking. Many thanks to Damian, who, after professing to have never cooked before, did a stirling job of the apple pikelets – and took his role very seriously! 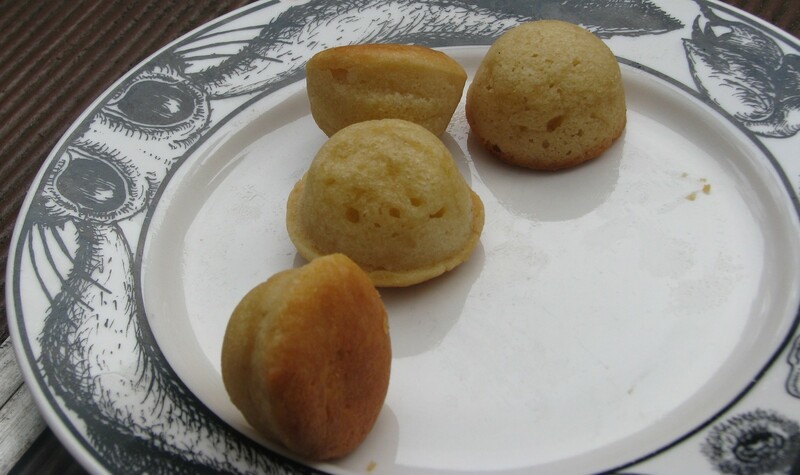 Combine the flour and sugar in a bowl and make a well in the centre. Whisk the egg and the buttermilk together and add this to the flour – whisk till smooth and stir in the puree. Heat the cast iron griddle till nice and hot, and then stick a dollop of butter on to melt. Cook in batches till bubbles appear in the surface and then serve hot immediately with butter or honey. 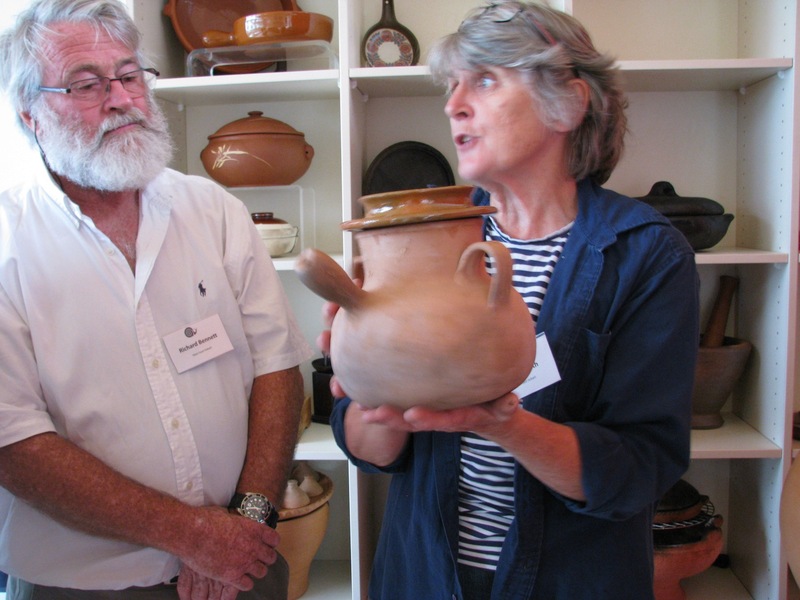 Surprisingly, and gratifyingly, there was a lot interest in Brunyfire’s collection of clay cooking pots, which have recently been housed in Brunyfire and Co’s new Boatshed. These are just some of the collection…….. Some pieces in the collection are unique – such as the Fijian cooking pot above whose maker, Amele Nacewa (pronounced Ah-meh-leh Nah-there-wuh) is no longer alive and is one of the last made in the traditional ‘paddle and anvil’ technique. 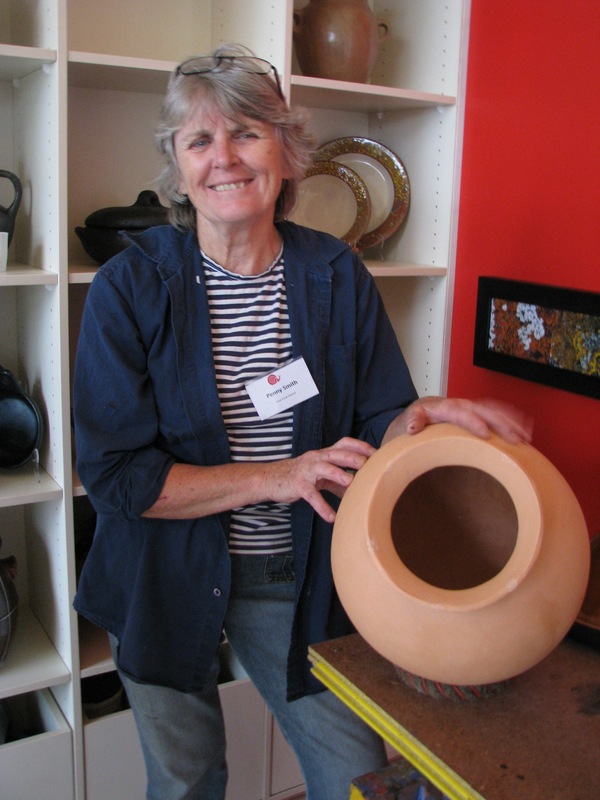 The ‘paddle and anvil’ technique involved the clay being worked by holding a rounded river stone in one hand on the inside of the pot, while patting the outside of the pot with a wooden paddle – with this method, she was able to create a uniformly thin pot wall. 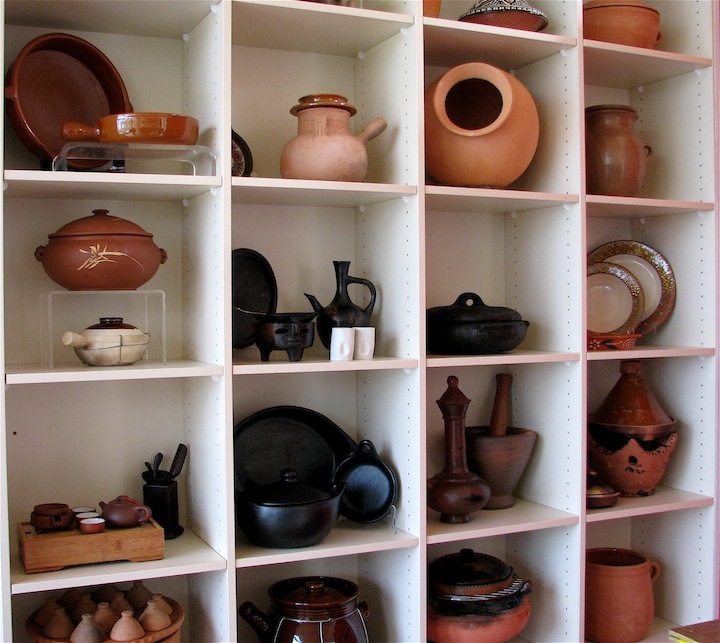 The uniformity of the pot wall thickness, the round bellied shape of the pot, along with the porosity of the clay body are crucial factors in the creation of a functional cooking pot for both firing the pot (in a bonfire) and for open hearth cooking. 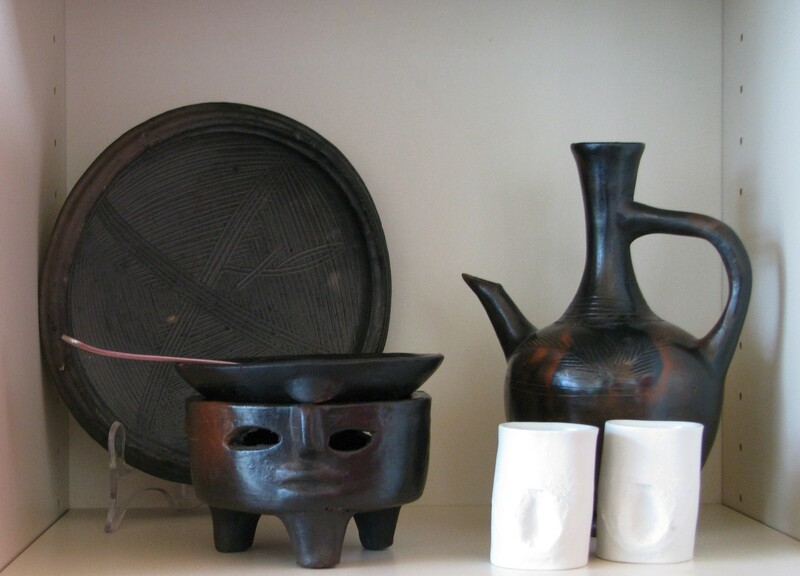 The above pieces are from Ethiopia. Coffee holds such a high place in culinary traditions, that there is a special ritual associated with the making of coffee. The green coffee beans are washed and roasted over a small brazier – being shaken all the time to prevent the beans from burning and are then ground in a heavy wooden mortar and pestle. The ground coffee is then placed in an Ethiopian coffee pot called a jebena, cold water then added and the pot placed over heat until the coffee boils – it is then served in delicate cups. A moqueca (below) is a traditional Brazilian seafood stew consisting of fish, onions, garlic, tomatoes, cilantro, chili pepper (pimenta malagueta) and additional ingredients. 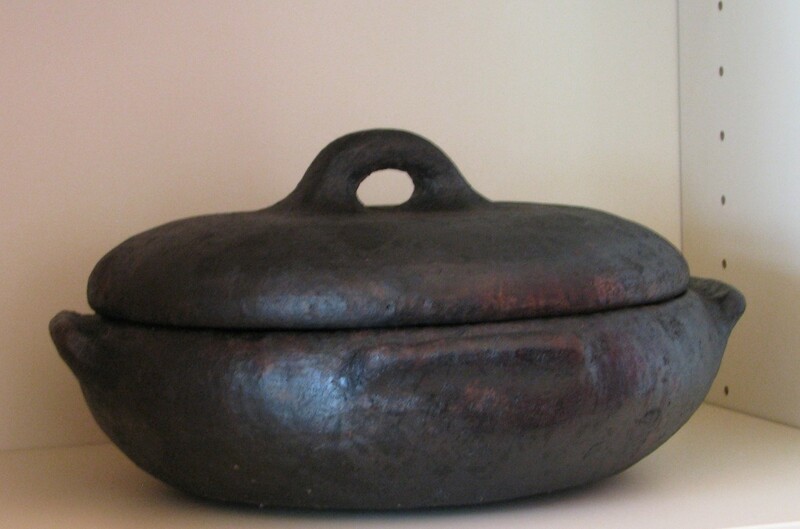 It is cooked slowly, with no water added – best cooked in a traditional clay pot. Moqueca Capixaba is the state dish of Espírito Santo and is cooked in clay pots made with a local clay and mangrove tree sap. After being shaped and fired, the mangrove sap is applied to the pot while still hot – this creates local reduction and blackens the clay body by entrapping carbon. This traditional dish (both the food and the pot) is very important to Vitória’s community because it supports a number of poor families who live off the craft of pot-making. Their grass roots association is called Paneleiras de Goiabeiras. Showing a keen interest in Brunyfire’s sample of a daubiere, and the collection as a whole, Richard Bennett, a photographer of national repute, seemed to think a book about the collection could be a possibility – something Brunyfire has also been thinking about. Each of the pots in this collection has its own special story which will eventually be told – when the time and the ingredients are right!